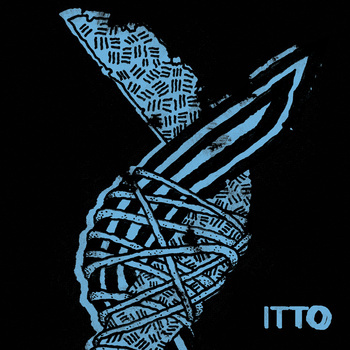 Itto is from Chicago and remind me a bit of early Capsule due to their technical, mathy work behind the instrumental wheel. There's a good amount of off time, noodly guitar and spazzing drums. This is not without some nice, melodic interludes that even things out and create some nice dynamics. Vocally things don't get too over the top, but they communicate a good amount of desperation. There's a nice balance between some spoken word type delivery into the more aggressive side of things. Music like this inspires me and I really can't say enough about how a band like this really shows the potential of where some tasteful musicianship can take a song. I can see how this might be a bit to "prog" for some, but the band's use of some of the more inventive time signatures is pulled off with power and aggression to make this seem less sterile. I'll have the pleasure of seeing them play next month and I'm most excited. Definitely some good stuff here.